Like Supremya, Suypremya Eye acts at night, the key moment for cellular regeneration when skin is sheltered from external aggression and stress. At the heart of its formula: the innovative anti-aging technology of Supremya: Phyto-complex LC12 enriched with a selection of active ingredients, each one targeting a specific eye contour issue: dark circles, puffiness, lack of firmness in the eyelids, crow's feet and wrinkles. A treat for your eyes! Feels luxurious and my eye area feels hydrated and refreshed. It diminishes wrinkles and fine lines. Great for all skin types. I use this both AM & PM. Lines and wrinkles are softer and less noticeable in a very short time of using this. Eyes immediately look brighter and refreshed right after application. Highly recommend. Sisley is one of those swoon worthy luxuries that I spring for. Expensive? Yes. Ridiculously so? Perhaps. But I've never regretted a single Sisley purchase. Every one of their products leaves you feeling like you've just left the spa, and I replace them each time I run out. 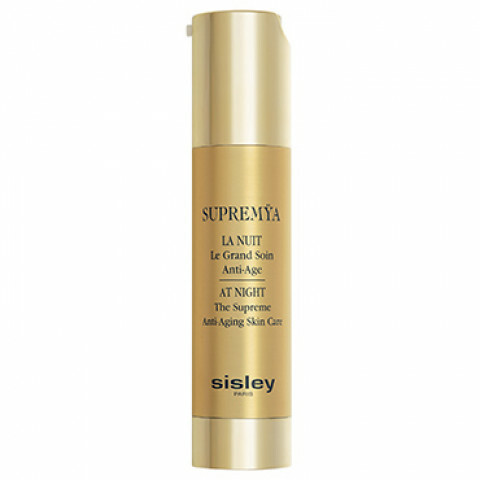 If you're going to treat yourself, this particular Sisley product, Eyes At Night, is the one I recommend!